Description: An original mixed media painting by Kalpana Soanes. Created on deep edge canvas. Painted sides, ready to hang, no frame required. 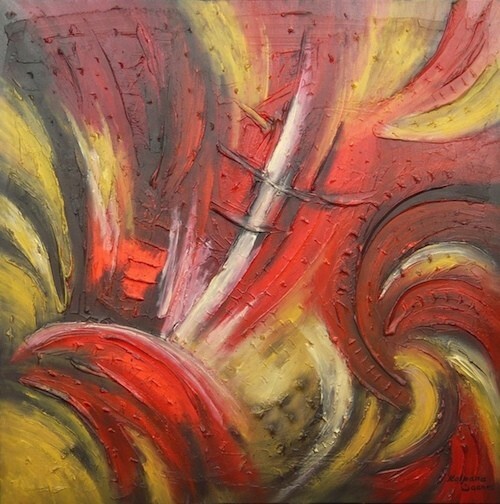 This highly textured painting, Lambada, is a large abstract depicting the mood of dance.